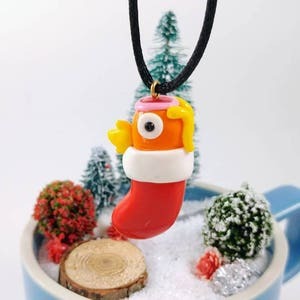 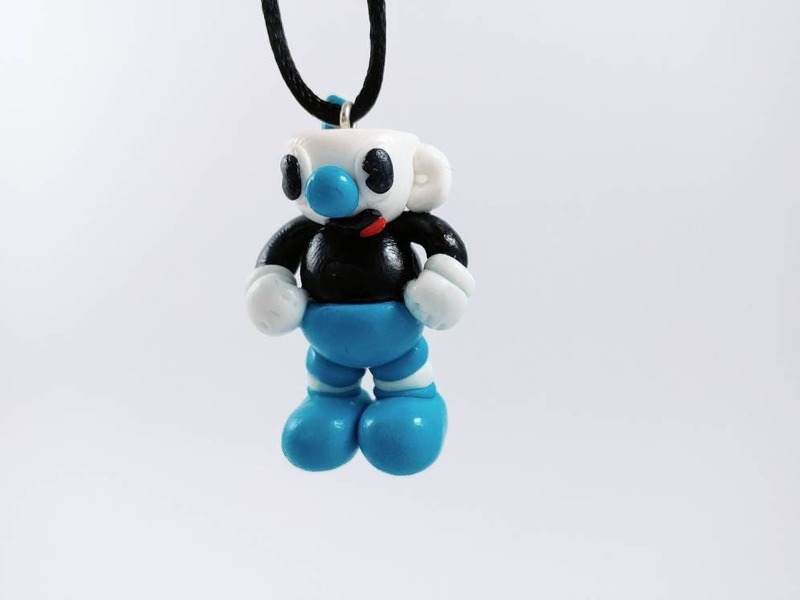 This Mugman Ornament is the result of love and care. 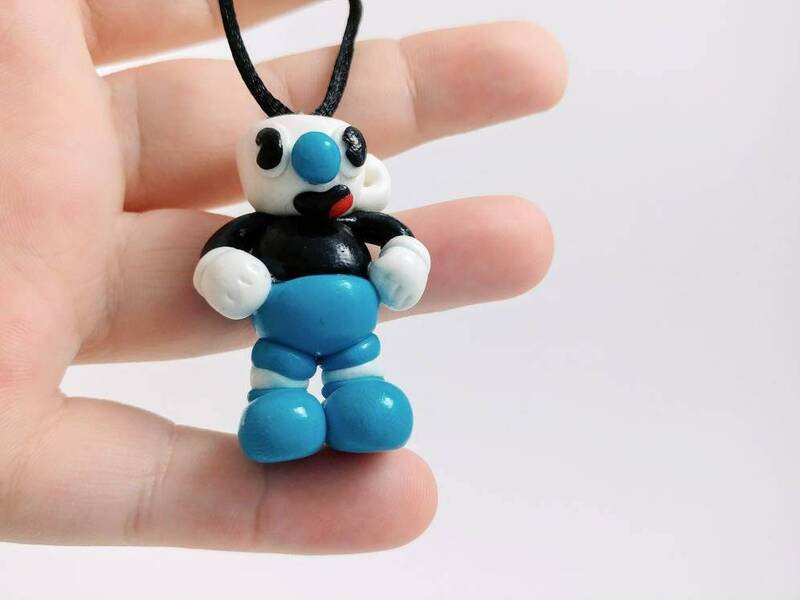 He is handmade by me out of polymer clay. 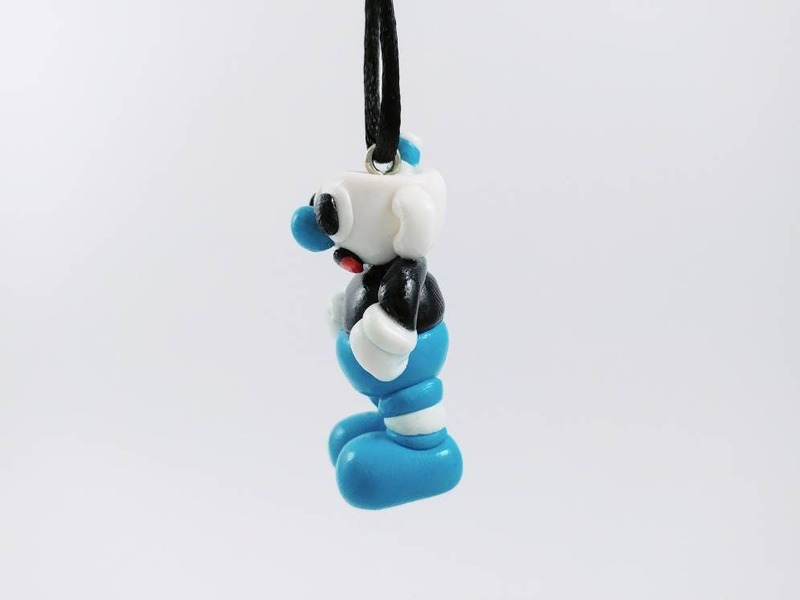 He is reinforced with wire inside the more vulnerable parts. 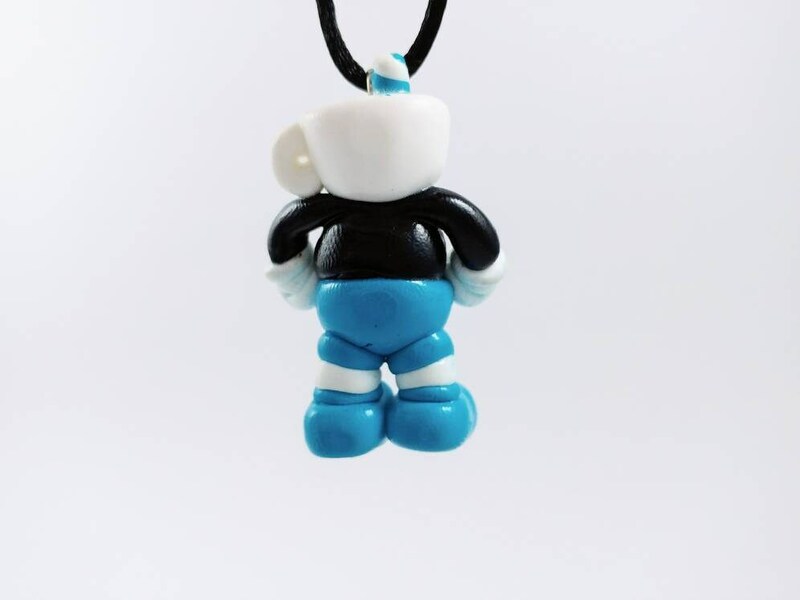 The Ornament is also coated with a high quality glaze making it shine and increasing its durability. 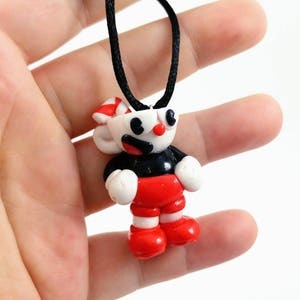 This ornament will look fantasic on any Cuphead fan's tree and makes a great gift. 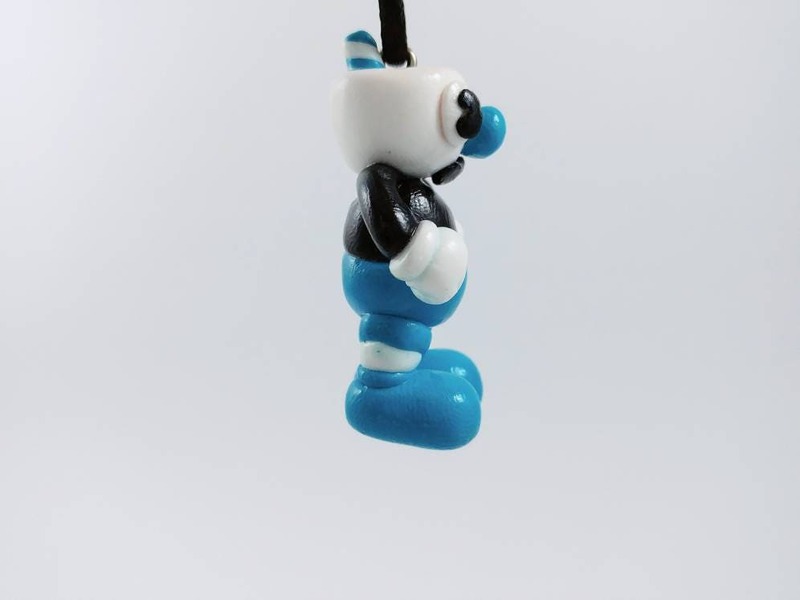 The cord is thick and sturdy and will keep him from falling off a tree or anywhere else you decide to hang it. 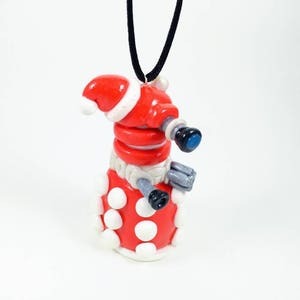 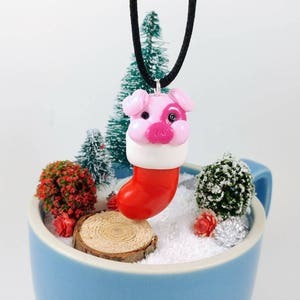 The ornament might look slightly different than the one pictured as this item is made to order.